Established in 2003, The Yacht Shop is based in St Maarten, DWI. 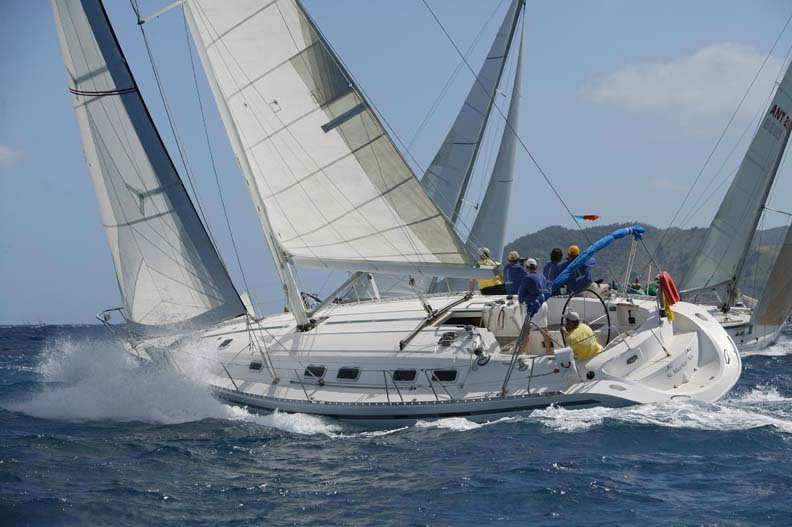 Servicing an international clientele, we are the “Go To” brokerage firm in the marine trade capitol of the Caribbean for new and used sailboats, including monohulls and sailing catamarans. We also offer charter and income boat sales. With offices and moorings located in Simpson Bay Lagoon just minutes from Princess Julianna International Airport, The Yacht Shop is well positioned with preferred status and access to all vital service providers – the key to a successful purchase or sale of your vessel. Thanks for making Dreams come true. Have you ever questioned the integrity of a boat broker? Bet you have. Has it ever crossed your mind that their only goal is the commission? Guarantee you have. Have you ever purchased a sailboat thousands of miles from home and completely trusted your broker? Well you are about to experience just that when you buy a boat from Mike Disch of The Yacht Shop. The decision to purchase a sailboat in the Caribbean was easy as we had decided on all of our needs before flying to the island. Finding the right broker was definitely a challenge. Mike Disch is the poster child of professionalism and honesty. Mike is genuine, he listens and provides point blank responses with only your best interest in mind. He speaks the facts. Boat brokers are a dime a dozen here in the islands, most cant be trusted, their only focus is to see you sail away into the sunset leaving your hard earned cash at the dock. Thank you Michael for making our dreams come true, I am eternally grateful for the experience, the friendship and support. Every day after racing between 3pm and 5pm and on Sunday at 1:30pm, the St.